Sally is a three year old Greyhound. She came to after having had a fractured wrist so she was retired from racing. Sally is the sweetest girl, she is definitely a heart dog, we all adore her, she is an incredible dog who deserves a super home. 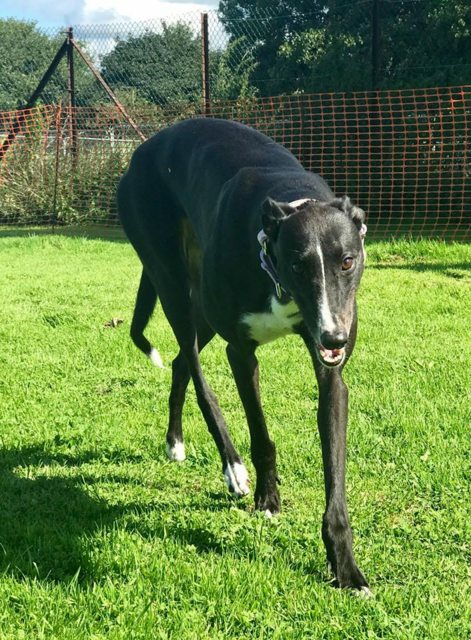 Sally is currently in kennels and would dearly love either a foster home or a forever home, she can live as only dog with plenty of love and attention or with another male hound, she knows her own mind and would prefer not to have a bolshy girl as a companion. Sally would prefer not to live with cats. 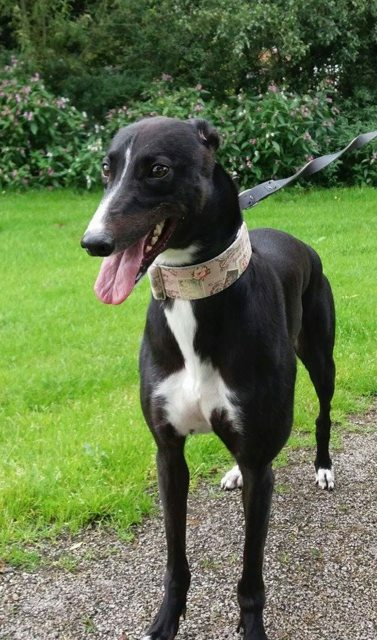 Sally would love to be somebody’s companion and friend, she likes to help out with things and is a bright and intelligent dog who would love to go on days out and see life and experience the comfort of a home. Please consider this little lady, she is a beautiful Hound inside and out. 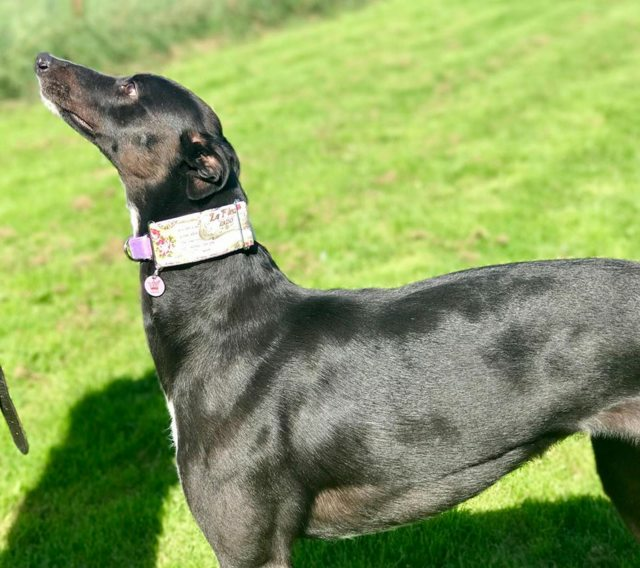 Sally is spayed, microchipped, vaccinated and flead and wormed, she can be homed both locally and nationally subject to a successful homecheck.